Customers of the U.K.'s Starling Bank can now add their debit cards to Apple Pay —potentially before they even receive their plastic cards in the mail. The bank claims to be the first in the country offering in-app provisioning for Apple Pay, according to TechCrunch. 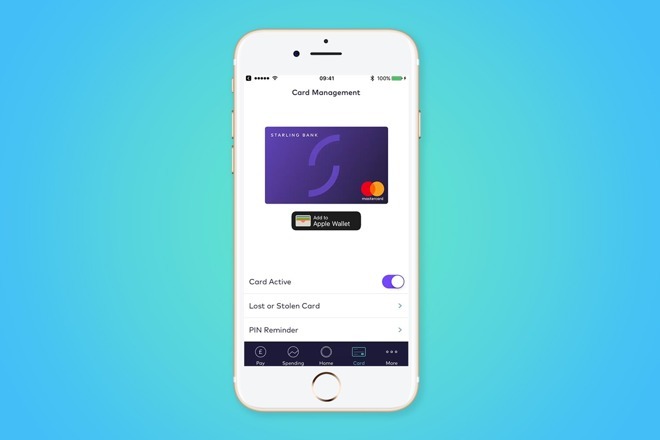 To add a card, iPhone owners must go into the Starling Bank app, reach the Card Management screen, then tap "Add to Apple Wallet." The company lacks any physical branches, instead depending solely on iPhone and Android apps. Because of the way Apple Pay works though, card holders should also be able to pay via other Apple devices, such as an Apple Watch. Apple Pay is relatively well-supported in the U.K., given that many businesses allow contactless payments. Critically, most sales terminals in the country no longer restrict such transactions to 30 pounds. Apple is still growing its roster of compatible banks and credit unions, even in the U.S., where most national banks have been onboard since early 2015. The bigger challenge has been U.S. retail adoption. Many American businesses are still upgrading to compatible terminals, and indeed some companies that have long promised Apple Pay —such as Anthropologie —remain without it.